United kicked off their League Cup - Section 4 series of matches with a home game against St Johnstone. 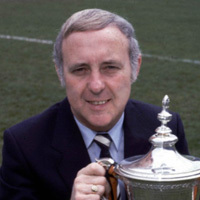 With a number of injuries affecting Jim McLean's team selection, there were one or two surprises in the starting eleven. 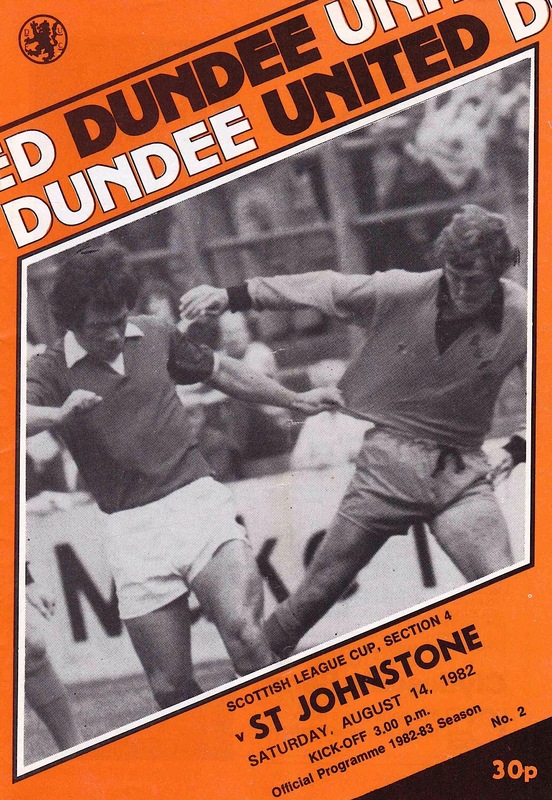 The home side made a whirlwind start to the match and their fans enjoyed witnessing a tangerine tide of pressure sweeping relentlessly towards Tulloch in the St Johnstone goal. Only grit and determination coupled with some tough tackling kept the Saints goal intact for 20 minutes. During this spell, two Muirton men, Caldwell and Brannigan, were booked for fouls on Payne and Hegarty respectively. Hegarty had to leave the field following the tackle. As if to punish the saints for their indiscretions, Hegarty's replacement Billy Kirkwood scored with his first touch of the ball after collecting a Payne lay-off. From the re-start Davie Dodds netted a rebound after Tulloch saved a Dave Narey long-ranger. 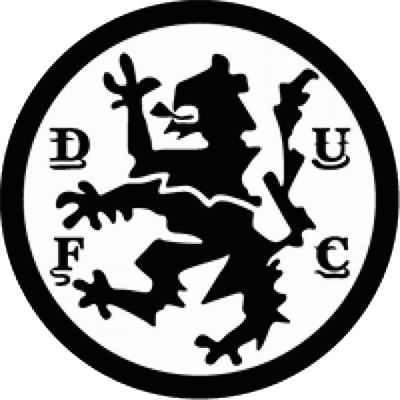 United's grip was complete at this stage and Paul Sturrock then went on to beat four defenders to score from a narrow angle and claim the third goal. By comparison, the second half seemed very flat indeed. Saints came much more into the picture but it seemed they did so more out of courtesy of United's indifferent play rather than by any recognised improvement in their own performance. Ian Phillip was United's best player on the afternoon, helping his side get off to an excellent start to their League Cup campaign. In welcoming you to the opening League Cup tie I have to confess that I cannot recall such a catalogue of injuries at the start of a new season. One expects minor injuries such as blisters and bruises but not as many knocks, particularly to as many of the first team squad. At the time of writing, in addition to newcomer Ally McLeod, Billy Kirkwood (ankle), John Reilly (leg), Paul Hegarty (back), John Holt (ankle), Jim Page (leg), lan Gibson and Gary McGinnis (both grain) were all out of contention for Southampton's visit. Consequently, I have no idea of the format of this afternoon's line-up. To make matters worse Ralph Milne is unavailable due to suspension. A series of injuries such as this is frustrating as it invariably upsets the blend of any side. I sincerely hope that this run of mishaps will have cleared up by the commencement of the League programme. I am also disappointed that we have been unable to add more new faces, especially by way of a player exchange deal. We have, however, been able to secure the services of lan Britton from Chelsea. It is my hope his experience in midfield will be beneficial at Tannadice. Only players can pressurise other players. Our first visitors of the season. 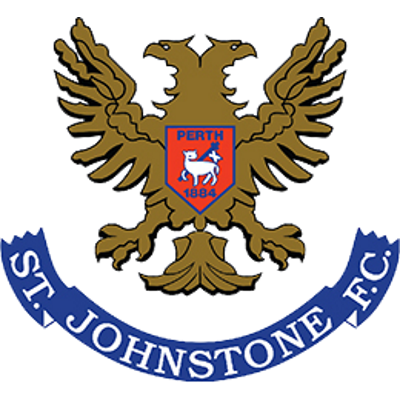 St Johnstone, are my tip for promotion. Alex Rennie has brought together a good blend of experienced players. I must, therefore, warn my players that this Saints' team is capable of beating us if we don't improve on our pre-season showings. Today's game is vital and if we are to qualify from Section 2 we cannot afford to start with anything other than a home victory. I am, obviously, very pleased with the showing against Southampton. Deprived as we were of five regulars, I have discovered new depths to our first team squad that I had not previously envisaged. It is my aim to stimulate competition for first team places, and the performance against Southampton by the younger members of the squad encouraged me greatly.